The high-safety and high-tolerance water paste treating nappy rash in babies and children. 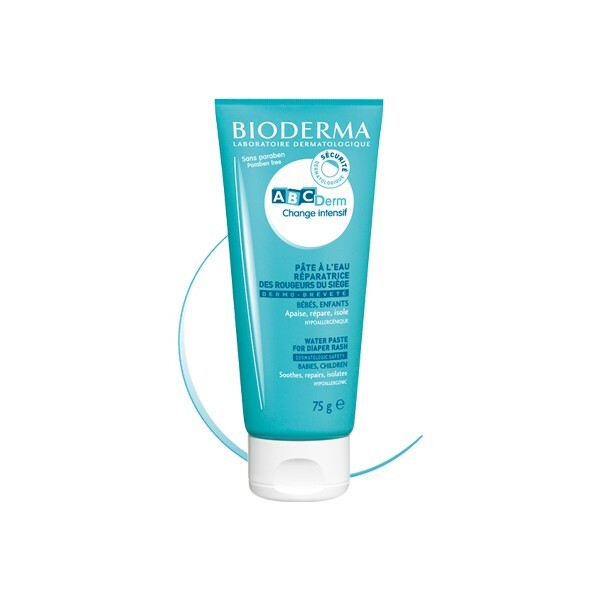 Specifically formulated in accordance with the ABCDerm dermatological safety commitment, ABCDerm Change intensif treats and soothes nappy rash in babies and children. 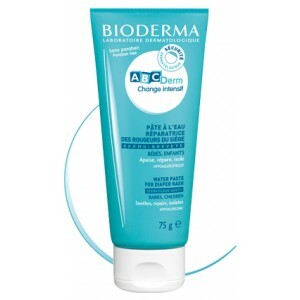 • Rich in D-panthenol, ABCDerm Change intensif quickly relieves redness and discomfort. It helps to repair the skin barrier by accelerating epidermal reconstruction. • A water-based paste with a high concentration of zinc oxide, ABCDerm change intensif provides an efficient and non-occlusive protective barrier. It purifies and insulates the epidermis against the dirt and enzymes present in stools, the main cause of nappy rash. • Glycerine moisturises and softens the skin. • Easy to spread, odourless and non-greasy, ABCDerm change intensif does not stain. Apply thick layers of ABCDerm Change intensif after each nappy change, to skin cleansed with an ABCDerm hygiene product and carefully dried.